Over the course of the primary school years you are going to pack around 1200 lunches per child. That’s an incredible number of lunchboxes! So the best thing you can do is get organized and have some tips and tricks up your sleeve for making them quickly. 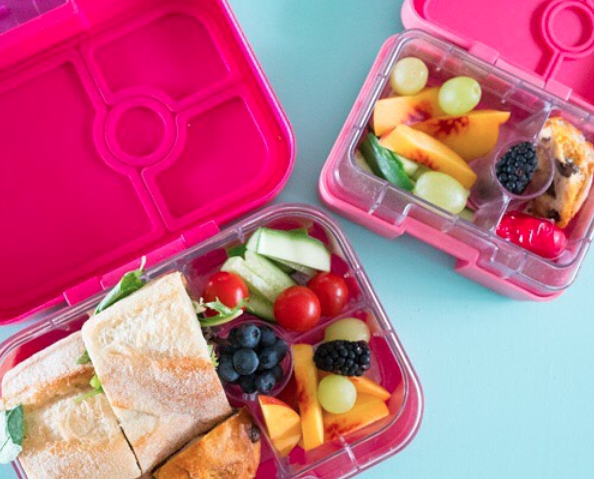 These are my 6 top tips for packing a healthy lunchbox quickly. 1. Chop veg once a week. Invest in some good airtight containers and you can chop your veggies once per week, saving you masses of time in the morning. Things like cucumber and carrot survive well for the week with a little water in the container. Just make sure to change it daily. 2. Freeze what you can. So many things can be frozen and this means that you can quickly grab stuff from the freezer and put it in the lunch box. Wholemeal scrolls, mini quiches are all freezer friendly options that are great in the lunchbox. Set aside some time once a week to bake and get ahead. It will mean your morning will run a lot more smoothly. When the morning is a crazy rush, it’s best to set aside some time the night before to prep the lunchboxes. 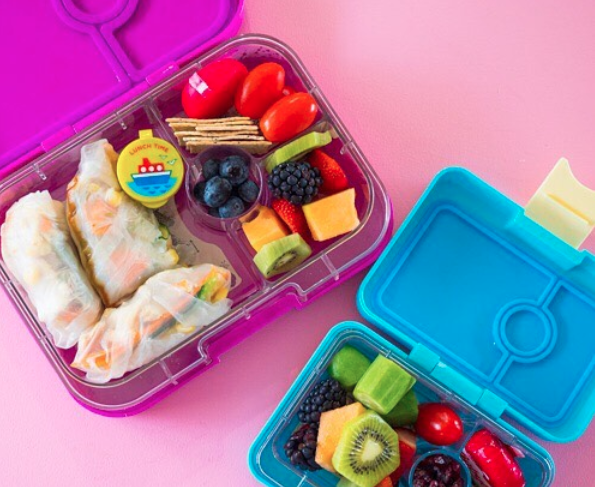 If you use lunchboxes that seal well, they will keep well in the fridge overnight, meaning it’s just a case of grabbing a freezer brick and popping them in the cooler bag in the morning. The added bonus: they are then chilled through and will stay cooler for longer as the ice pack doesn’t have to do the cooling. One of the simplest things to pack is fruit and veg. If your kids will eat whole pieces of fruit even better! That’s crunch and sip done. If not, chopping up some cucumber and carrots doesn’t take too long and has the added benefit of helping to tick off a serving or two of their daily requirements. 5. Get the kids involved. Getting the kids involved is a great way to cut down the time you spend on making lunches. 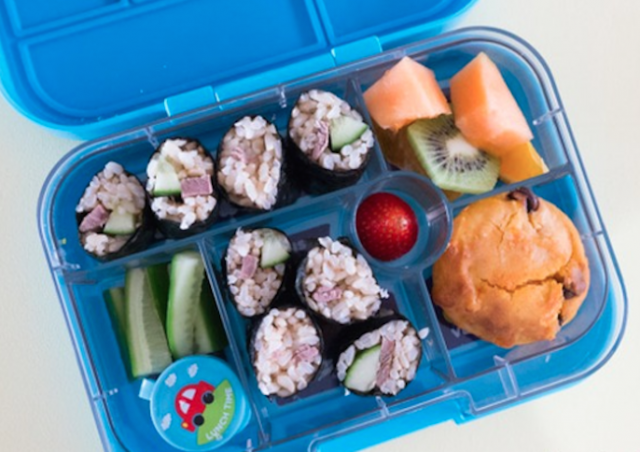 Ask them to do age appropriate tasks like helping to get the fruit, chop up veggies or even help to make sandwiches, sushi or rice paper rolls. They enjoy the opportunity to cook and you get extra help. It also helps them to make choices about what they want in their lunchboxes which might result in more of it being eaten. 6. Have a lunchbox station setup. We have everything ready to go, the lunchboxes, cooler bags and drink bottles are on a trolley in the kitchen, so they are easy to find. It means there is no hunting for them every day. Get the kids to empty their bags when they get home, and wash the lunchboxes immediately so they can be on the trolley ready for packing at dinner time or in the morning. Make sure the icepacks go straight back into the freezer.